This is the third post in a series on design patterns for tracking events in Google Analytics (GA) using Google Tag Manager (GTM). This third pattern is a developer-focused implementation pattern where your site developers push all the required information into a data layer. This method is sometimes referred to as a “pass through” method. Advantage: The advantage of this method is that developers have full control. 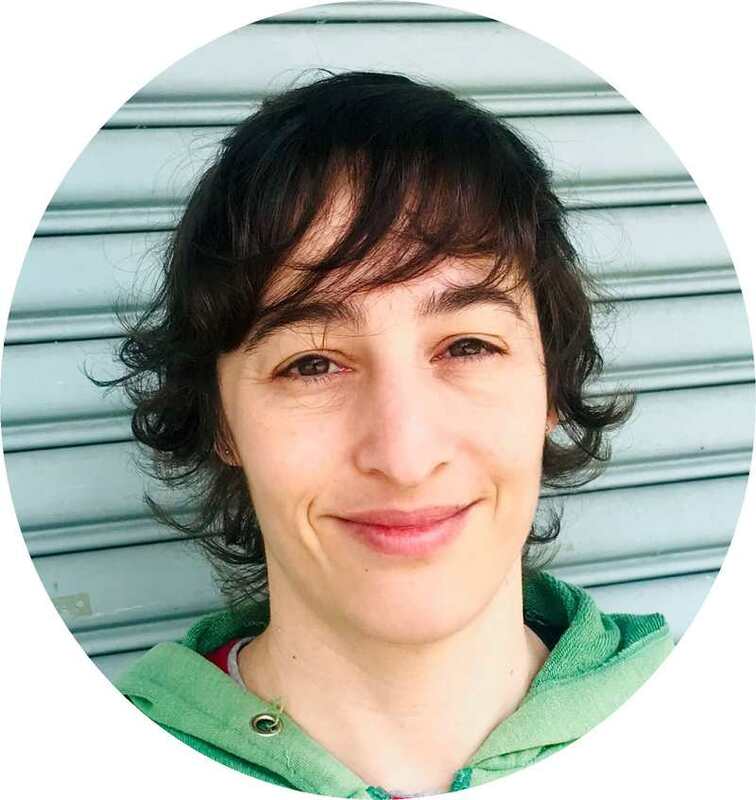 There is virtually nothing that can’t be tracked, and the tracking shouldn’t break when the site design is updated, since it lives within the regular code base and goes through the regular development and testing cycle. Further, it greatly simplifies setup in GTM; instead of requiring triggers for every action, you can get by with just a small number of generic tags, triggers, and variables. Finally, this pattern may be easier to implement if you already have on-page tracking, since you can just modify the existing syntax to make it work. This is a common method for large enterprises that prefer to implement analytics through their IT team. 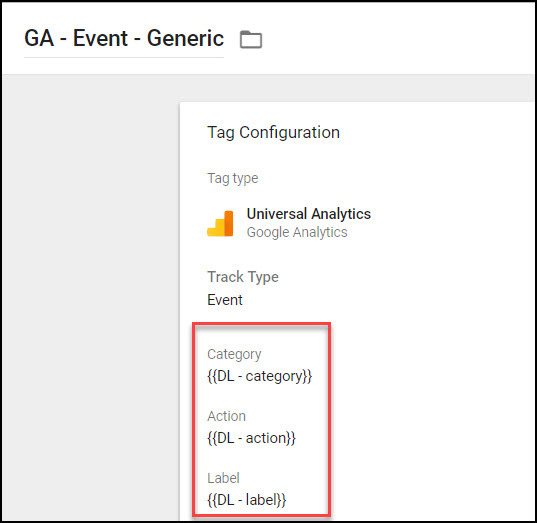 Create a new Universal Analytics tag in GTM with Track Type = Event. Populate the Category, Action, and Label fields and set the trigger with the variables and trigger from step 2. The event value ‘eventTracking’ will always remain the same, while the category, action, and label will be set depending on what you are tracking. As always, use a logical naming strategy. This data layer can then be read by GTM. 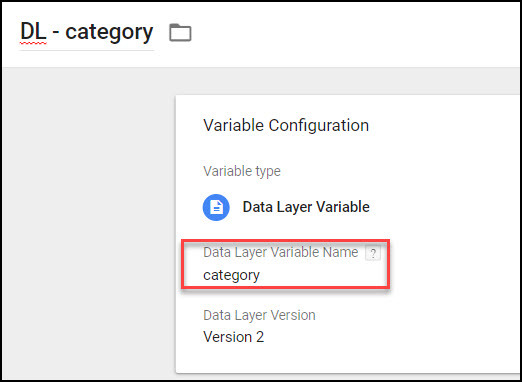 For the next step, click Variables > User-Defined Variables > New > Variable Type = Data Layer Variable. Set up 3 separate Variables, one each for category, action, and label, each matching the key name that was pushed into the data layer in the first step. Use these variables to populate a generic event tag. 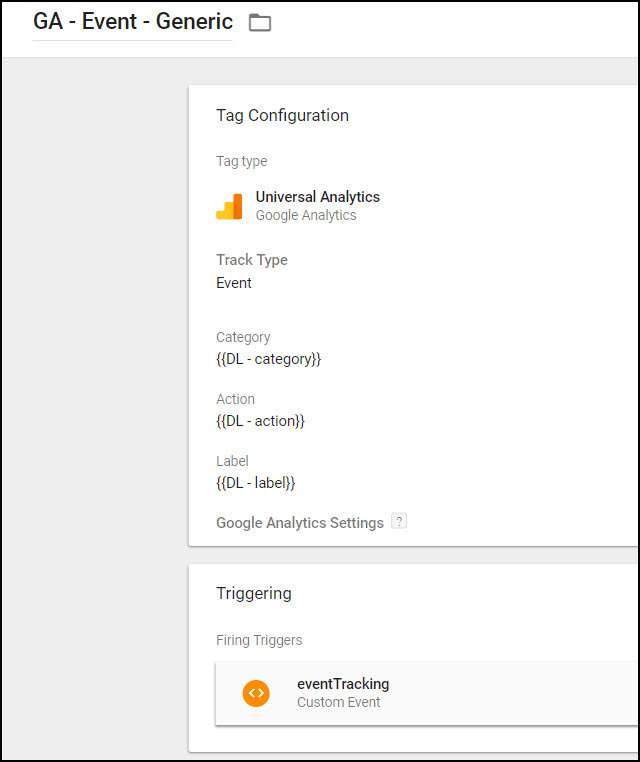 Click Tags > New > Universal Analytics > Track Type = Event, and populate the event tracking parameters using the generic Data Layer variables created in step 2. 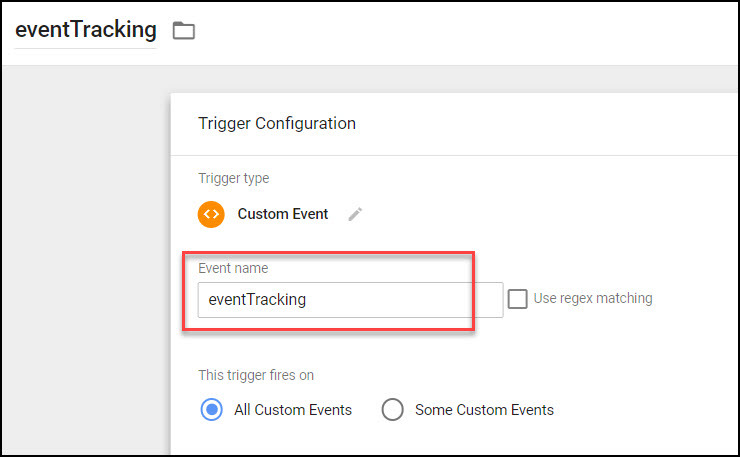 Following this implementation, any time your site developers push an event named “eventTracking” into the data layer, all of its associated event information for category, action, and label will automatically populate the event tag and be sent to GA, without any additional work needed in GTM. You can basically set and forget GTM, as anything sent to the data layer by your developers will be automatically passed through and picked up by your generic GTM event tag. Q: Which method do you use to track events with GTM? Leave a comment below! Best instructions I’ve ever seen. Straight to the point, simple and for some reasons noone else seems to be able to do this. Good job. Excellent writeup. Exactly what I was looking for and had a hard time finding elsewhere – much obliged! Thanks so much! Glad it was useful. I’m having a little trouble getting this to work and I’m not sure how I can go about debugging it. I think I’ve followed the directions in the article properly. It’s a little fuzzy to me how exactly GTM hears the event being fired. I put mine within a click event handler that simply pushed the values into the dataLayer object as you’ve outlined in the first step. Does GTM watch for changes to that object, or is there something else I need to do to make GTM pass the values? As long as the data layer push is correctly configured, GTM will automatically hear the event being fired. What happens when you open up GTM Preview mode? You should see the data layer pushes reflected in the left-hand panel. Please also remember that to actually use those values for GTM tags, you’ll need to set up triggers and variables to collect the information from the data layer.